archery chukar can be a great place to start aerial archery for several reasons. archery chukar is cheaper than pheasant, the chukar are larger than quail so they are easier to hit, and they are a recyclable bird as they are easy to bring back to a catch pen. 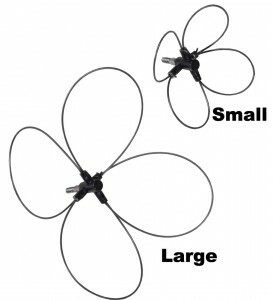 Besides the fun factor, lets break down each aspect of why I like archery chukar. Chukar mature faster than pheasant, and are slightly smaller. These 2 factors mean less feed is required to grow the birds, so they cost less money to raise. Like a pheasant they are a beautiful bird with striking colors, and are fun to chase on the wing with Snaro bird points. Males and females are not identical in color, but the females are much more colorful than a hen pheasant. The whole purpose of archery chukar is so you are skilled enough to take down a wild pheasant with a bow and arrow, and archery chukar will hone those aerial archery skills. Quail are very small and hard to hit archery. 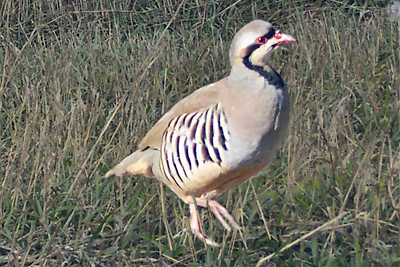 A chukar is sized between a quail and a pheasant making it a realistic aerial species. Chukar also tend to fly in a straight line directly way from the hunter, which is aerial archerys most doable shot. archery chukar hones your skills to the point that hitting a rooster pheasant is relatively easy. I have successfully used these recall pens on my farm in Minnesota, and for this reason alone I prefer chukar over pheasant. If you have an itch to bow hunt birds, I strongly suggest archery chukar as a starting point.